My CySA+ Study Group will help you prepare for the CompTIA Cybersecurity Analyst+ exam. I’ll send you weekly coaching emails that guide you through my study materials and prepare you for the CySA+ exam. Fill out the form below to join for free! 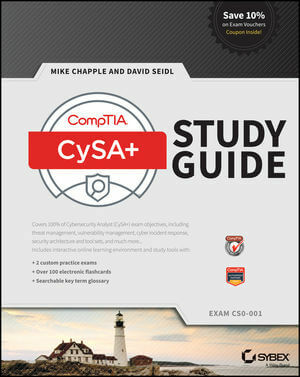 My CySA+ Study Guide contains all of the information that you’ll need to prepare for and pass the CySA+ exam. 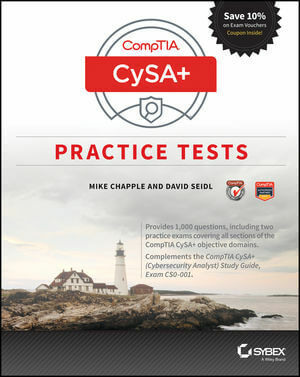 I’ve prepared these CySA+ Practice Tests as a resource to help you assess your exam readiness and prepare for your test day! LinkedIn Learning features a series of seven video courses that I've prepared covering all of the material that you'll see when you take the CySA+ exam.